Above: Daymare CD re-issues of the first 4 Old Man Gloom albums: Meditations in B, Seminar II, Seminar III, and Christmas + Christmas Eve. The Old Man Gloom/Converge tour of Japan/Australia/New Zealand is now complete. Thanks to all this involved for making it a highly enjoyable set of experiences. 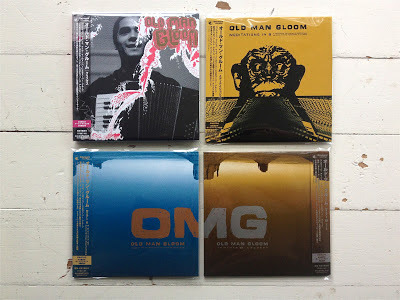 When Gloom reached Japan we were handed the finished copies of the Old Man Gloom re-issues, produced to coincide with the tour (and incidentally the 10th anniversary of Daymare Recordings). 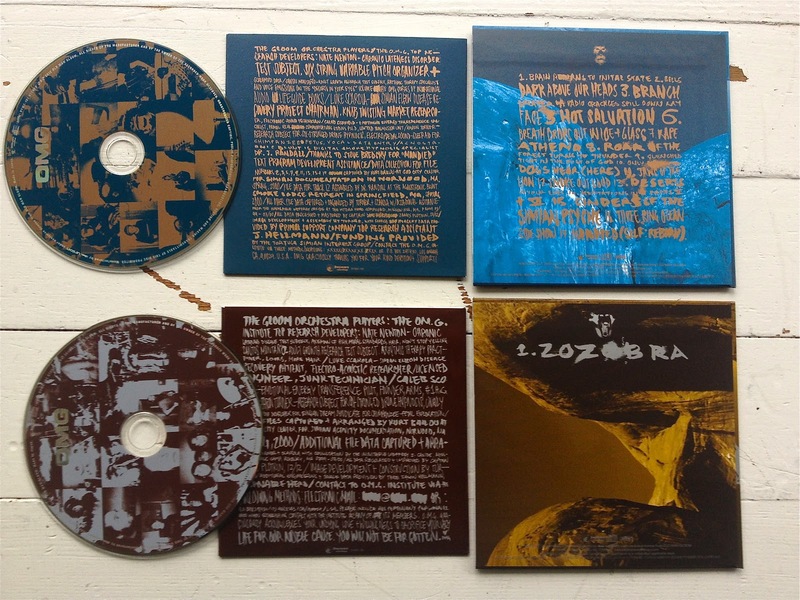 These CDs are the definitive versions of the albums, replete with revamped artwork, re-mastered audio courtesy of James Plotkin, and some bonus live material (also mixed and mastered by Plotkin). For anybody new to the work of Old Man Gloom (or those simply looking to update their collections), the ultimate versions herein described and pictured can be obtained directly from Daymare by visiting the Inoxia webstore here. Big thanks to Tadashi Hamada for making this project possible. Though available only in the CD format currently, OMG is hoping to reissue these updated versions of the albums on vinyl in the course of the coming year. Stayed tuned for more info on that endeavor. 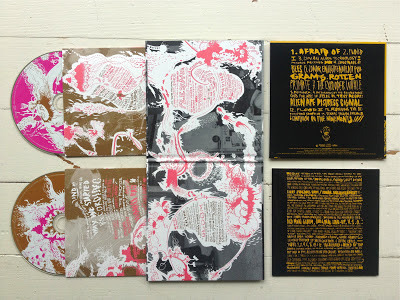 Speaking of Daymare, they have also recently issued the CD version of the JK Flesh/Prurient split album. 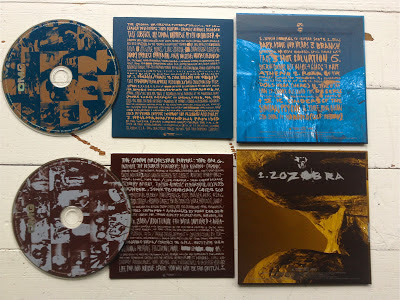 The compact disc edition features the original content plus remix tracks by House of Low Culture and JK Flesh not available on the LP version. That item is also for sale direct from Daymare here. As of today there are also 3 remaining copies of the LP test press + cassette version of this release at the HHR store here. Speaking of Old man Gloom, congrats to fellow Gloomer Nate Newton and his wife Liz Newton on the birth of their daughter Dorothy! Very happy and exciting news! Listening/enjoying/reading: Exo "In Springtime the Universe...", Knut Hamson "Hunger", Iron Lung - live, Converge - live, High on Fire "De Vermis...", Skip James "Jesus is a MIght Good Leader", Mutoid Man - album, Daniel Menche - Vilke, Portal "Vexovoid", Jason Lescalleet "Songs About Nothing", Kevin Drumm "Tannenbaum", Aaron Dilloway "After the Showers", etc.